The public have been warned by police not to use Santander cash machines over fears they have been "compromised". Forces in Lancashire and Cheshire say they have received reports of issues with the bank's ATMs. The warning for Lancashire follows reports of suspicious devices on Santander's machines across the county last week. Police are concerned criminals have targeted the machines in an attempt to steal card details and cash, and have urged those who have lost money to contact the bank. But Santander said only five cash machines had been tampered with and these were shut down at the request of the police. No customers have reported being defrauded, a spokeswoman said. 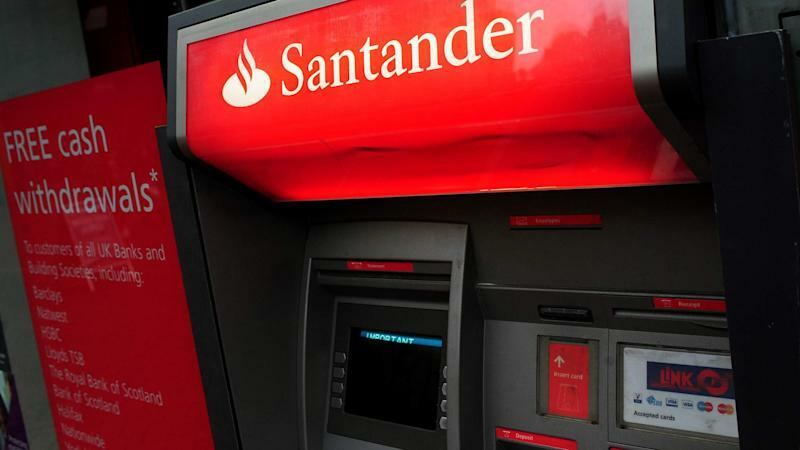 She said: "Santander was contacted this weekend by police, who requested that 5 ATM machines in the North West and Lancashire area be shut down due to potential criminal activity and vandalism. "The 5 ATMs in question were shut down immediately. "The Santander ATM network remains fully operational and we are assisting the police with their enquiries in relation to the 5 ATMs in the Lancashire area. "Customers are always advised to remain vigilant and if concerned about any other ATM machines, they should contact the police immediately and not use them." Lancashire Police wrote on Twitter earlier: "Security at Santander ATMs in Lancs has been compromised. Advice is not to use them. If you have lost money please contact the bank and 101." Cheshire Police issued a warning to avoid Santander cash machines in Wilmslow, near Manchester. The force tweeted: "Cheshire Police have received reports of issues with Santander ATM's in Wilmslow. Please do not use the machines and call your bank and 101." A spokesman for Lancashire Police said it is feared the issue could be more widespread. He said: "We are advising the public to be vigilant, in particular of Santander machines, but of any cash machines. "Report anything suspicious, have a visual check of the cashpoint and if in doubt leave it an go somewhere else." "It's spread across the whole of Lancashire so it's highly likely other forces may have had reports. We do not know how many are affected." The force also issued advice to bank customers, telling them not to use a cash machine if it appears to have been tampered with and shielding the keypad when entering the PIN. Greater Manchester Police and Merseyside Police said they have received no reports of compromised cash machines.